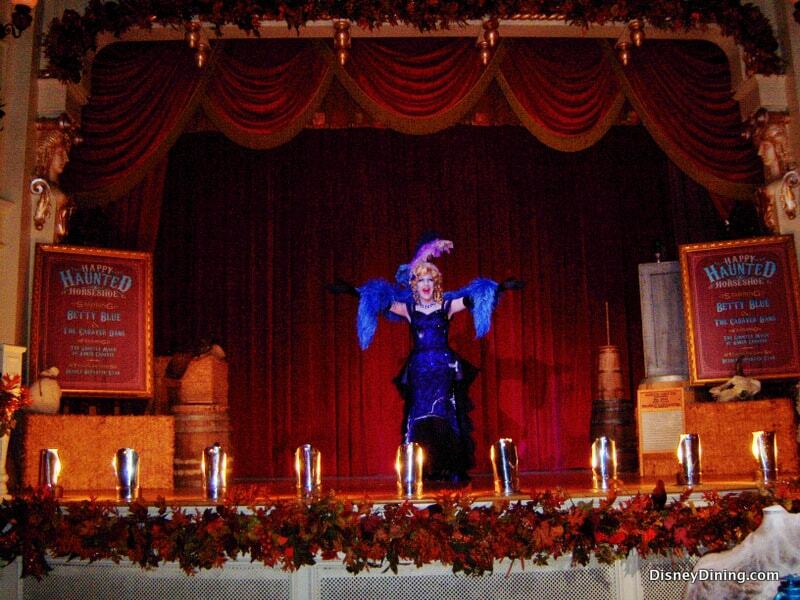 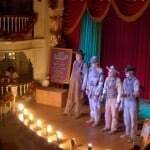 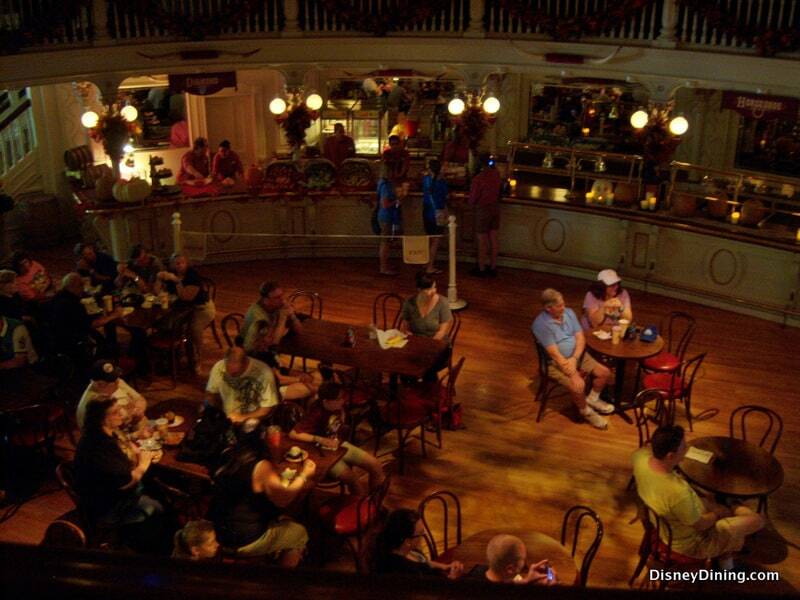 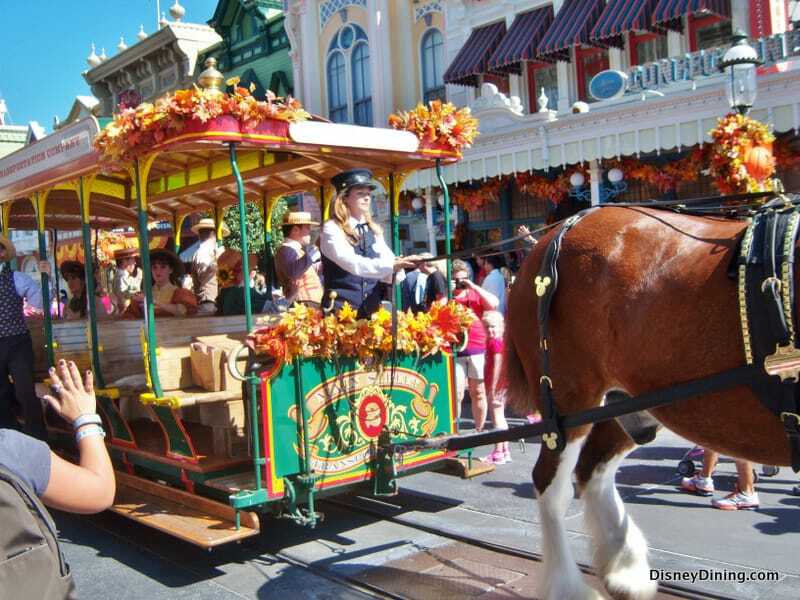 Other special seasonal entertainment is the Fall Trolley show on Main Street in the Magic Kingdom. 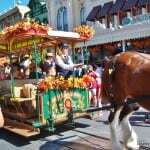 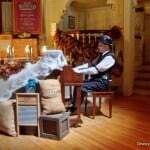 They arrive on a horse-drawn trolley with high energy songs and dancing to wow visitors as they arrive on Main Street. 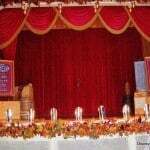 The show only lasts a short while so take it in. 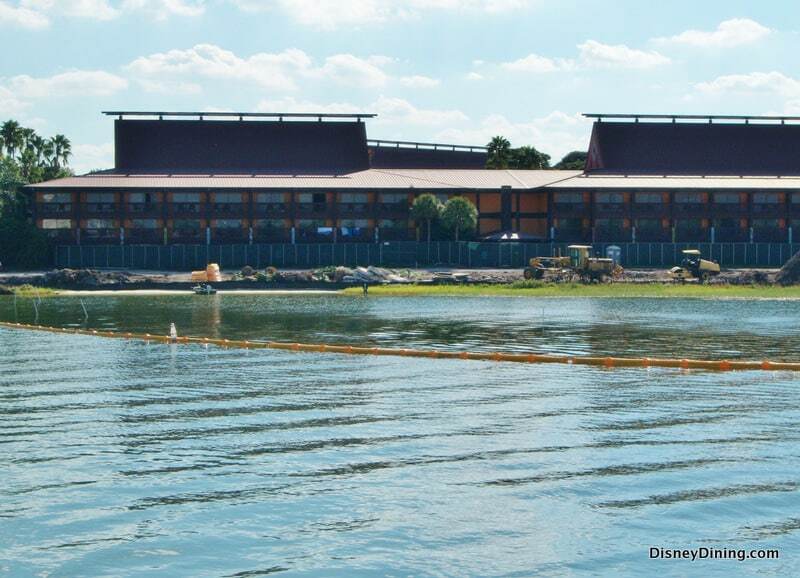 You can catch it several times daily. 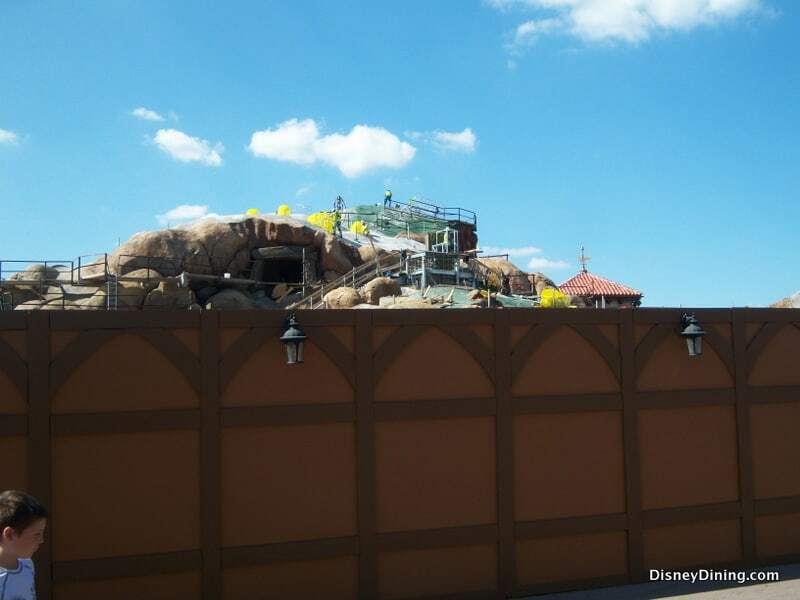 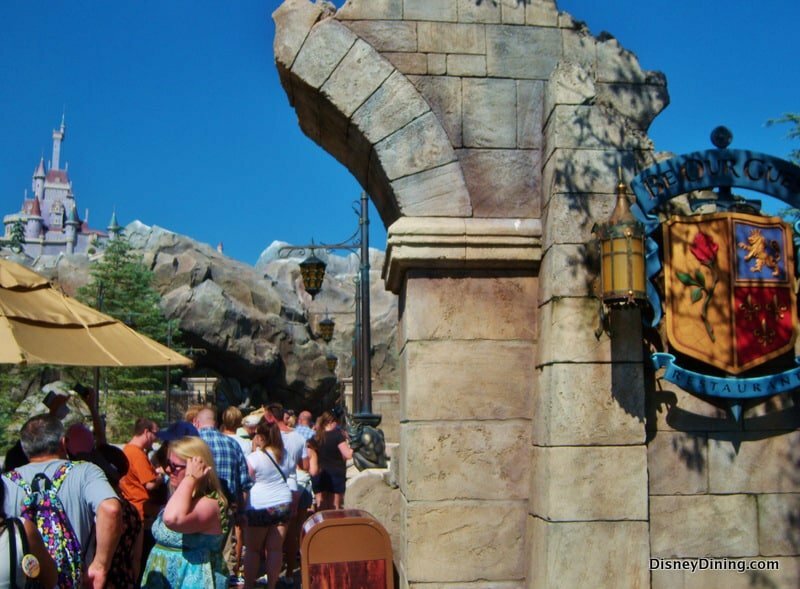 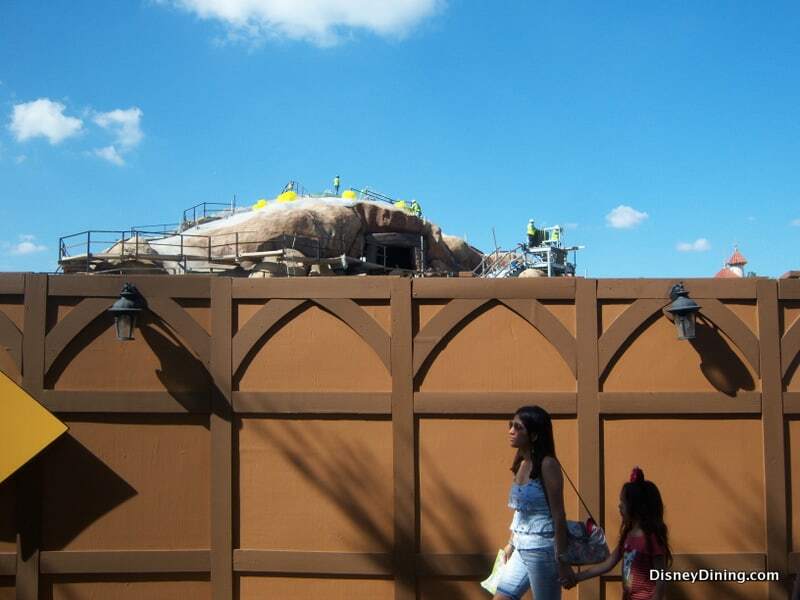 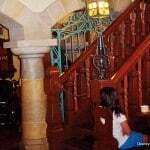 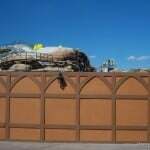 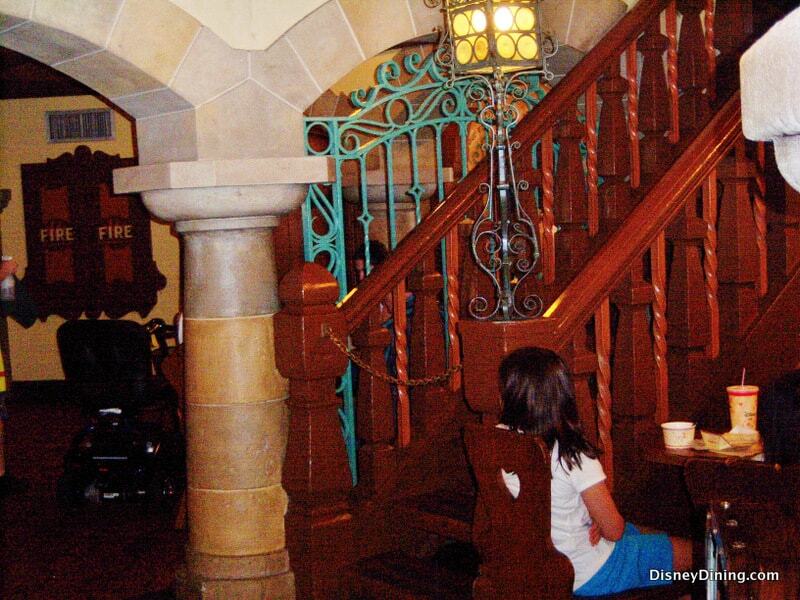 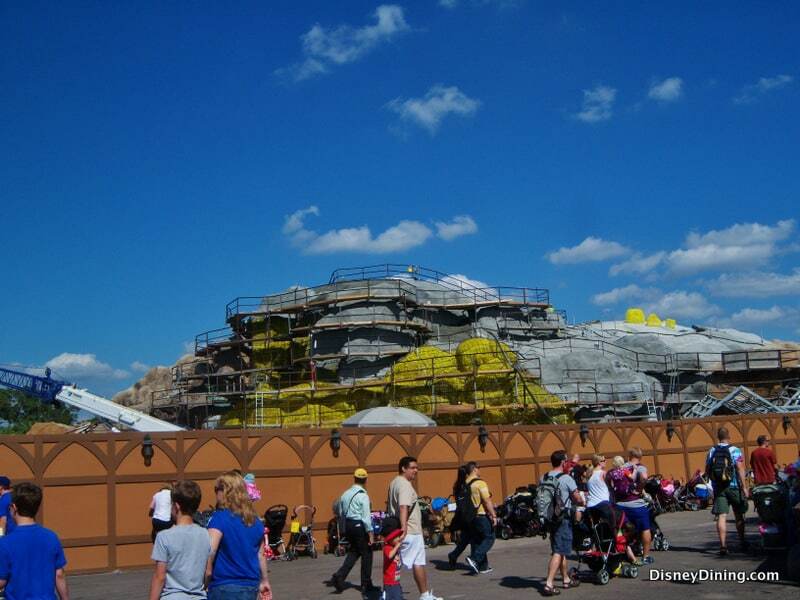 Let’s go check out the progress in Fantasyland. 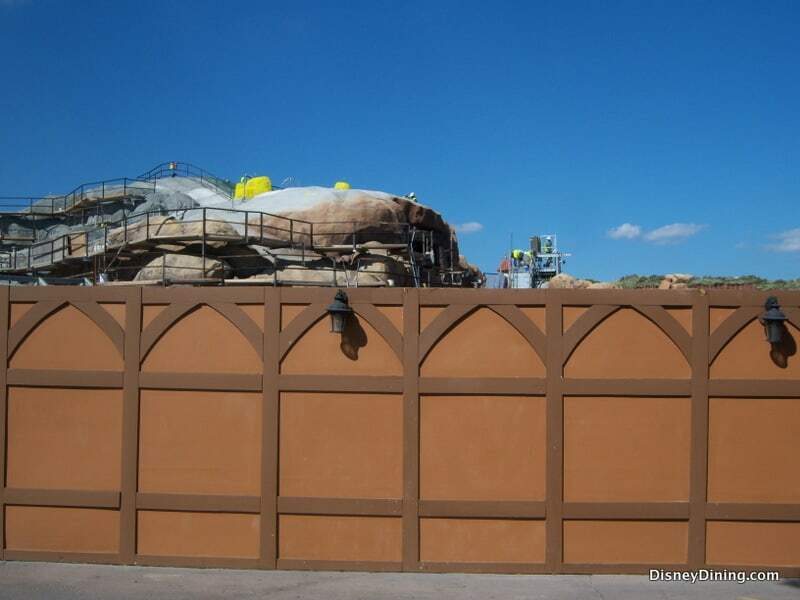 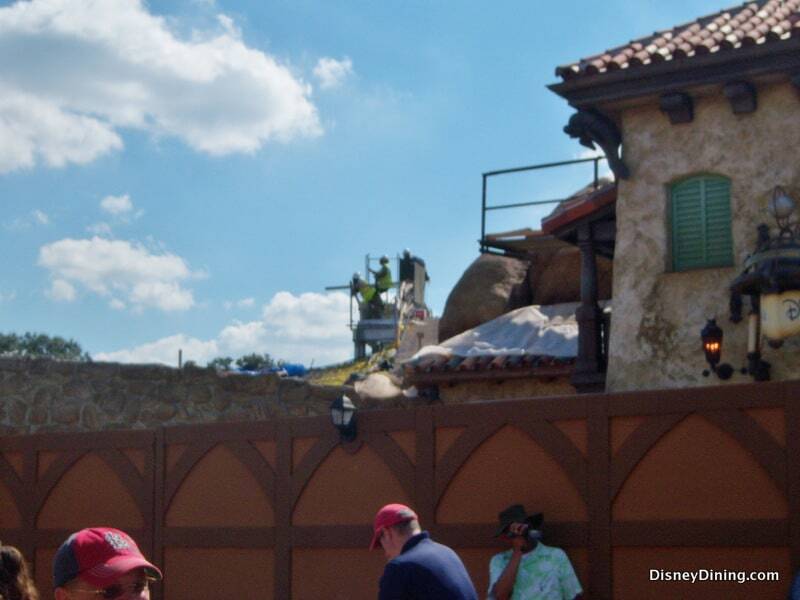 The barriers are still up in front of Peter Pan, but that was expected. 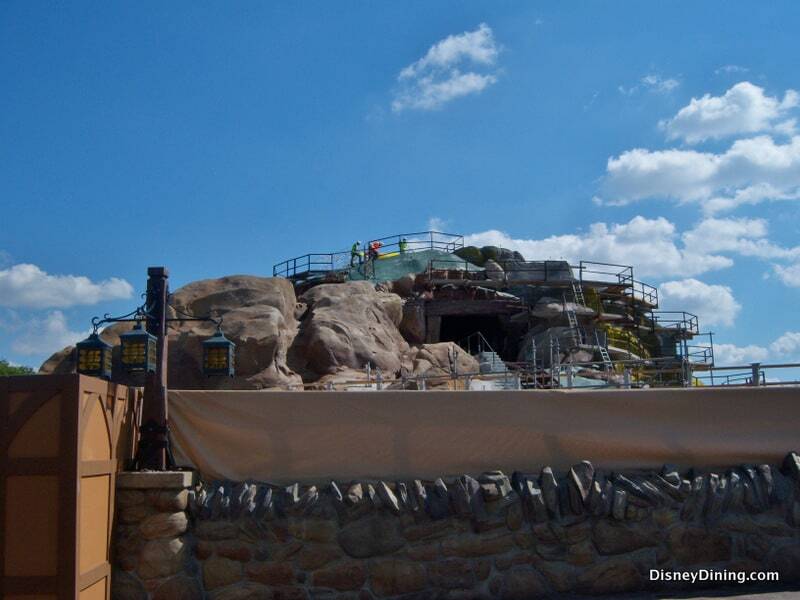 Projected reopening is November 13. 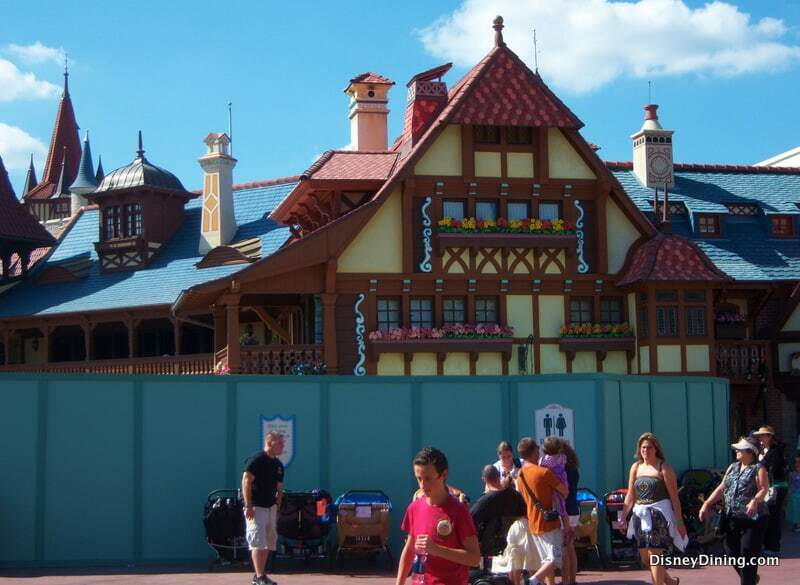 And across the street is Pinocchio Village Haus restaurant and I can see the barriers are still up around the outside eating area here, which is a little disappointed as it was expected to reopen the middle of October. 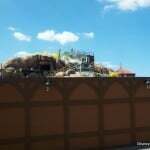 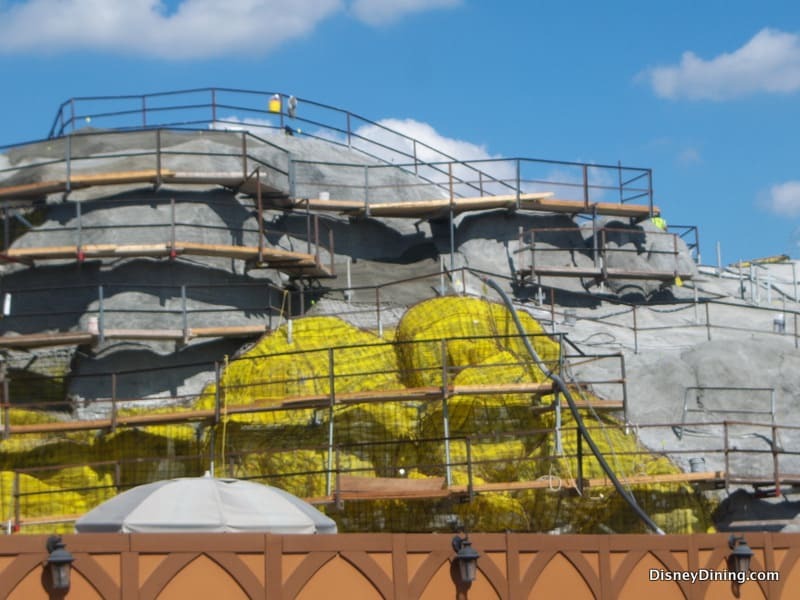 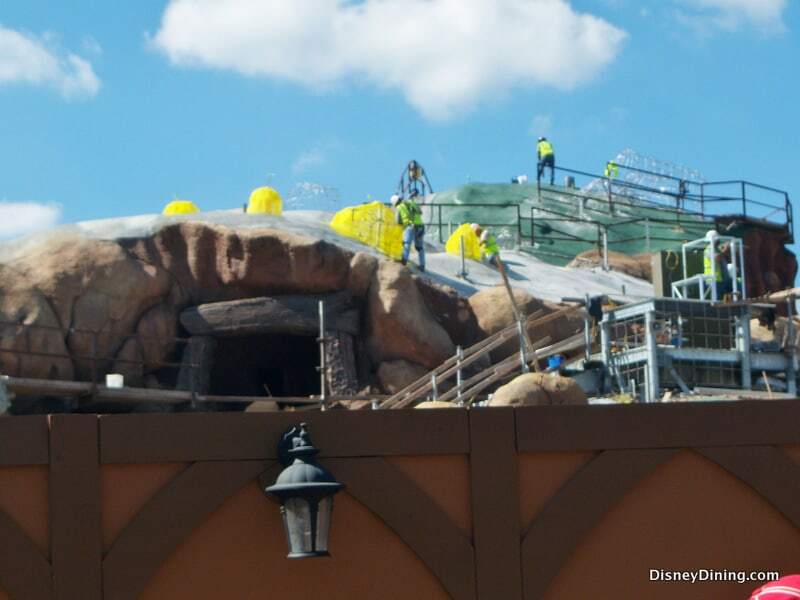 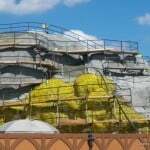 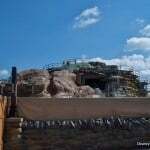 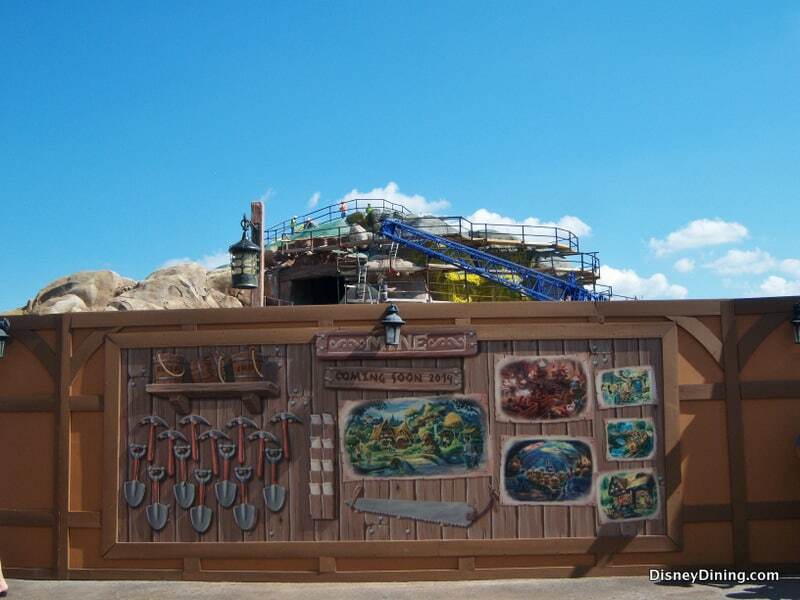 But, there is sure to be progress on the 7 Dwarfs Mine Ride, let’s go see how much. 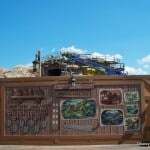 There are a lot of workers up all over the mountain! 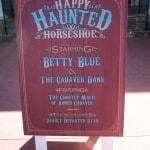 Be sure to check out the photos below for a look all the way around the outside of the ride. 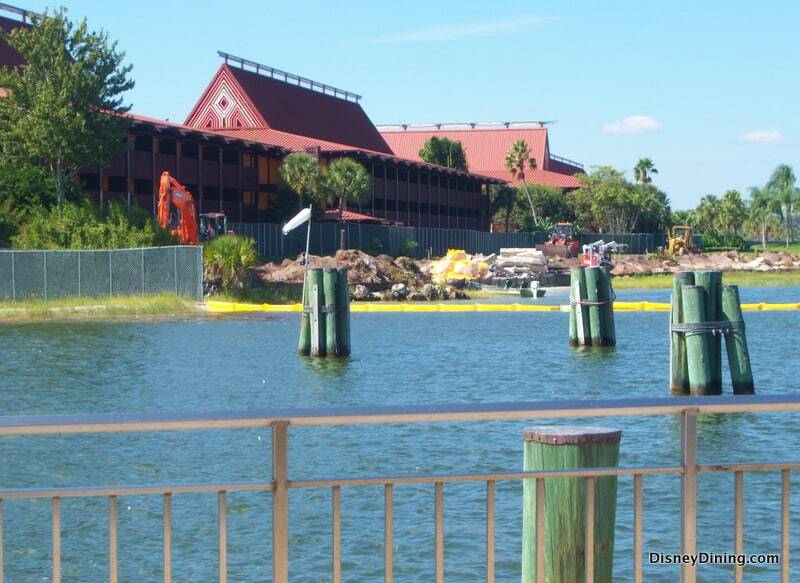 The Disney Vacation Club building looks complete, but still behind the wall for now. 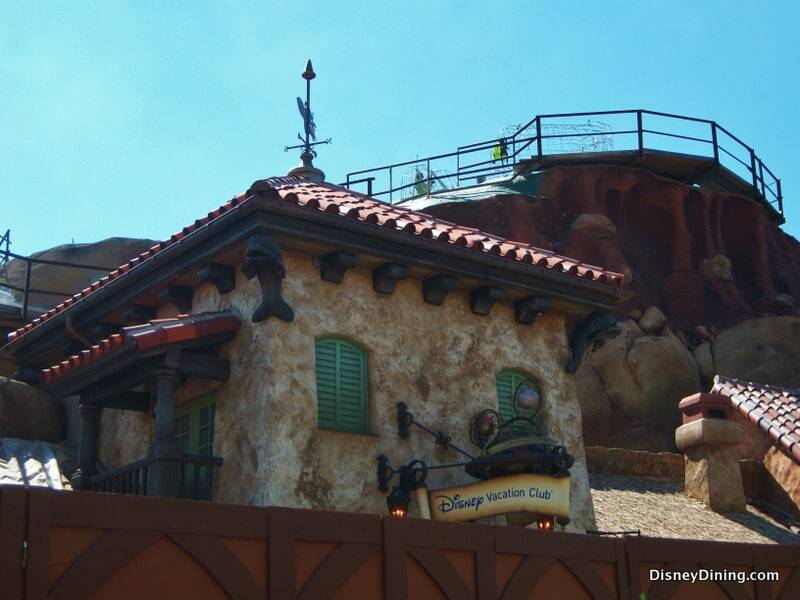 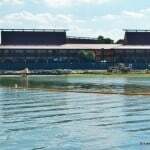 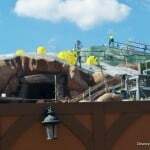 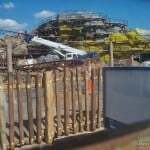 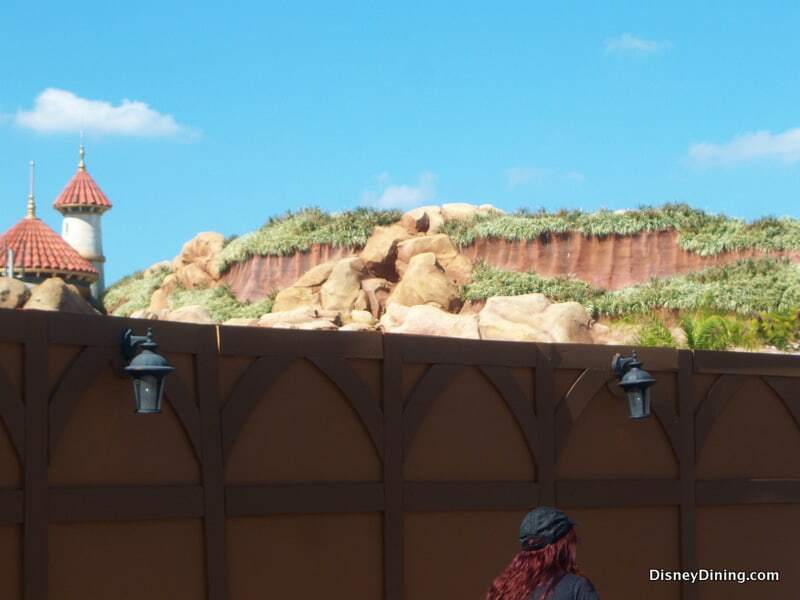 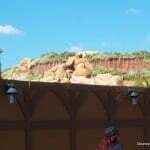 It looks like they will soon be adding “grass” to the scenery; still no more information on the opening other than “2014”. 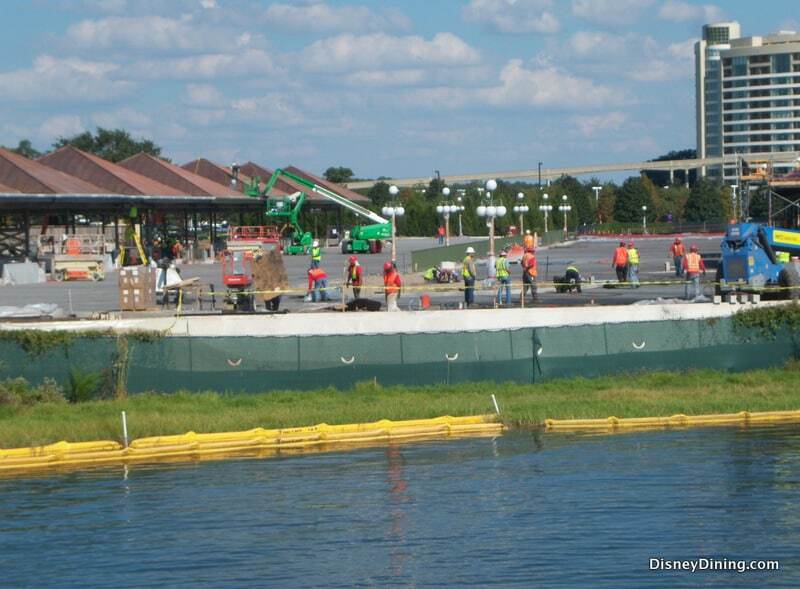 The new bus loop that is being constructed at the front of the Magic Kingdom has more concrete poured this week. 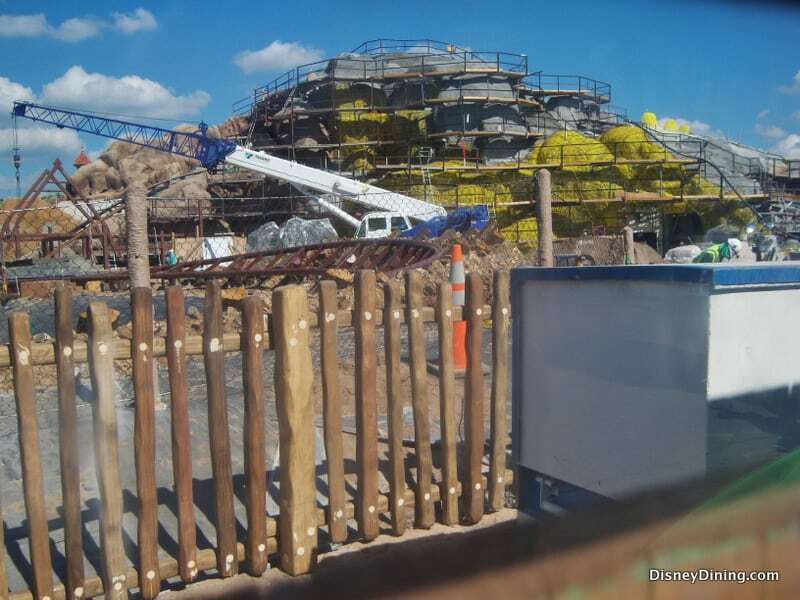 This third loop of bus stops is being constructed to give access to over sized busses for service from Magic Kingdom directly to the other parks, and to the Value resorts. 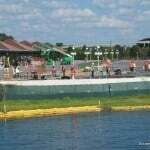 The larger bus will hold about 122 people. 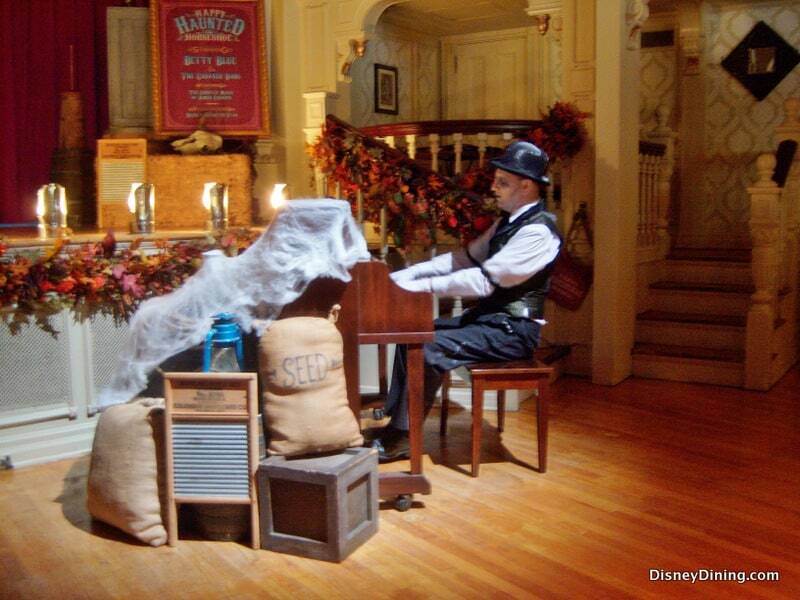 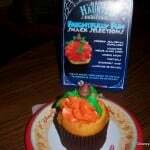 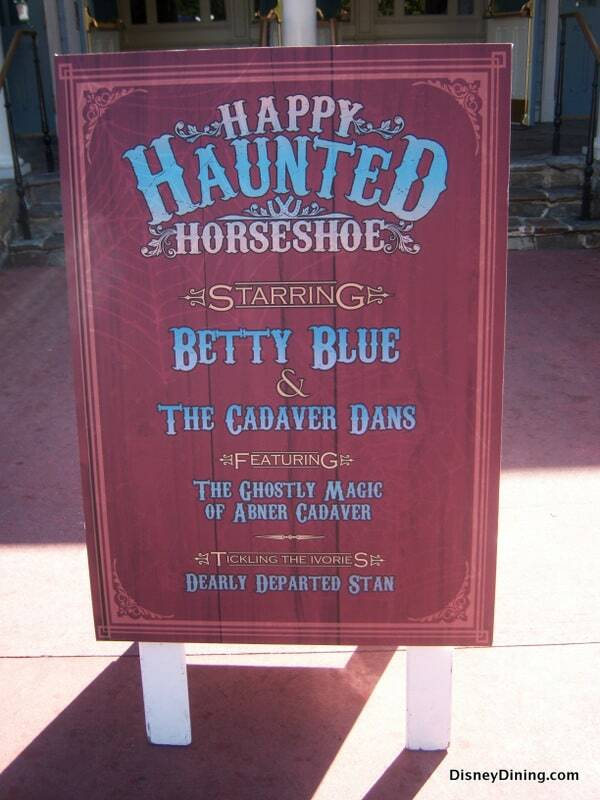 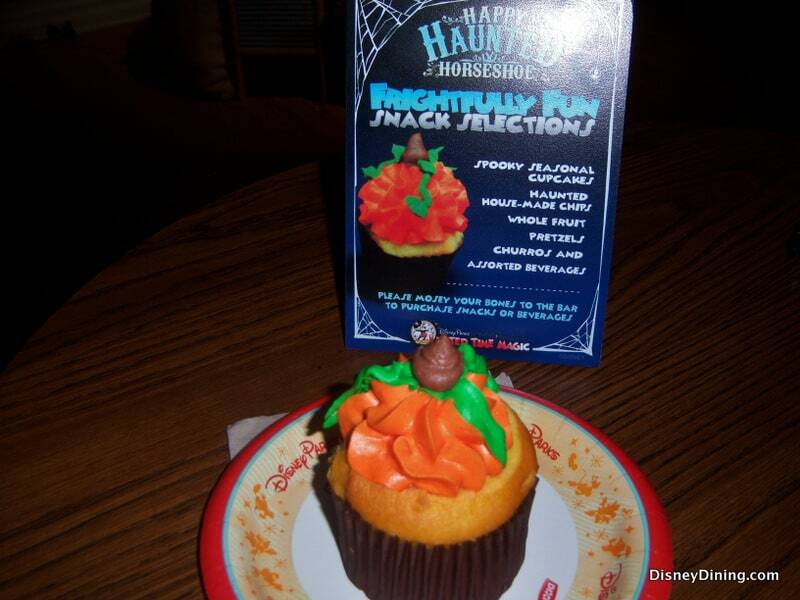 Mickey’s Not So Scary Halloween Party continues this week. 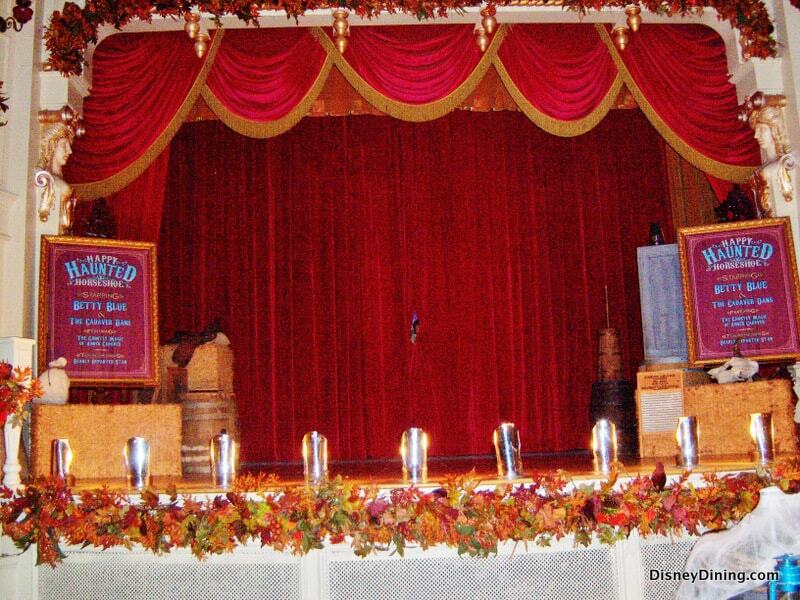 The last party will be November 1. 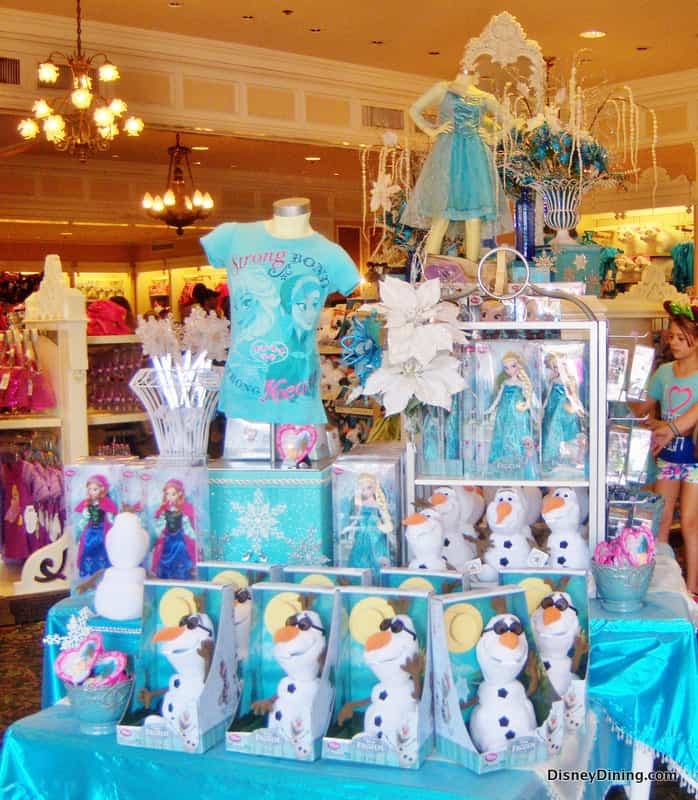 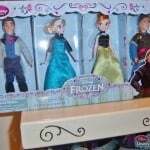 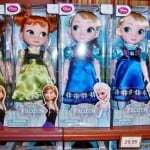 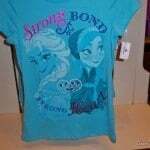 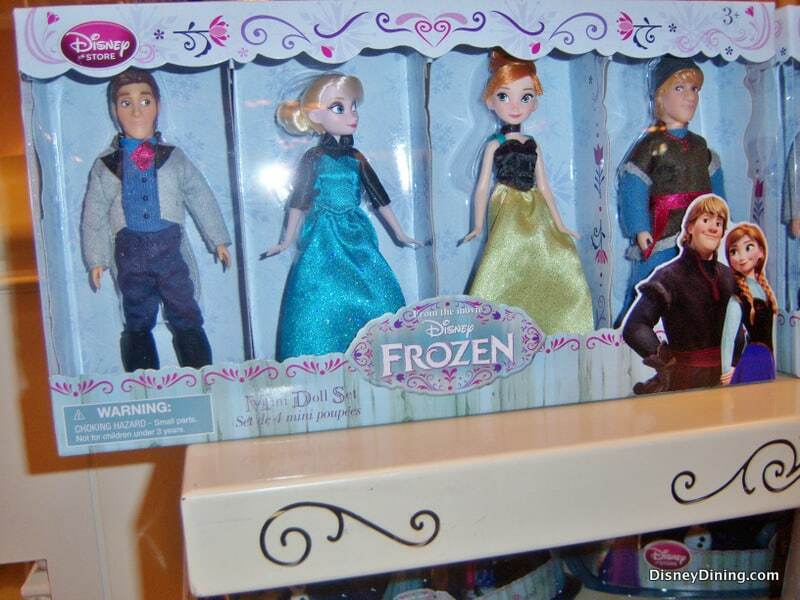 There are new FROZEN merchandise displays in the Magic Kingdom. 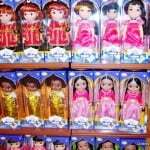 Dolls, character sets, stuffed animals, crowns, costumes, dresses, wands, t-shirts, books and toys. 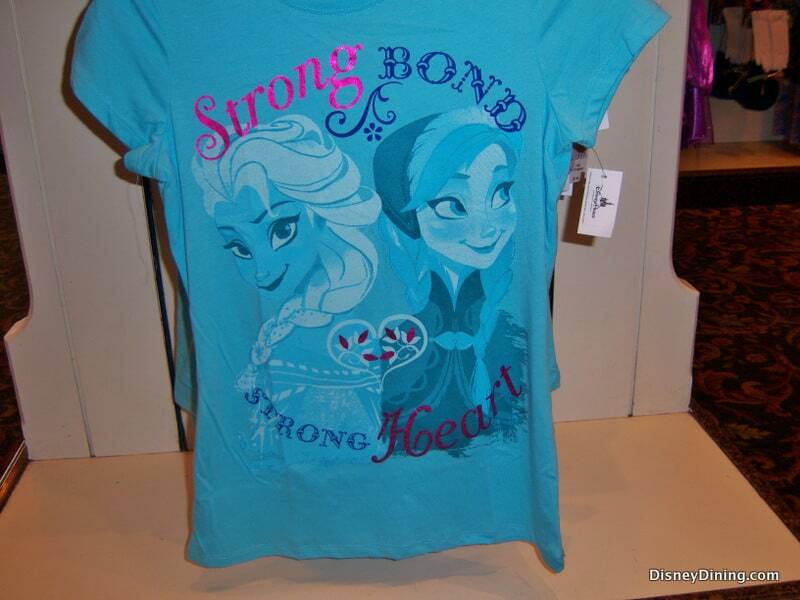 The movie is not scheduled to be released until Thanksgiving Day, but the character merchandise is very popular already. 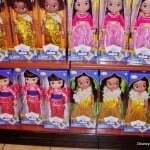 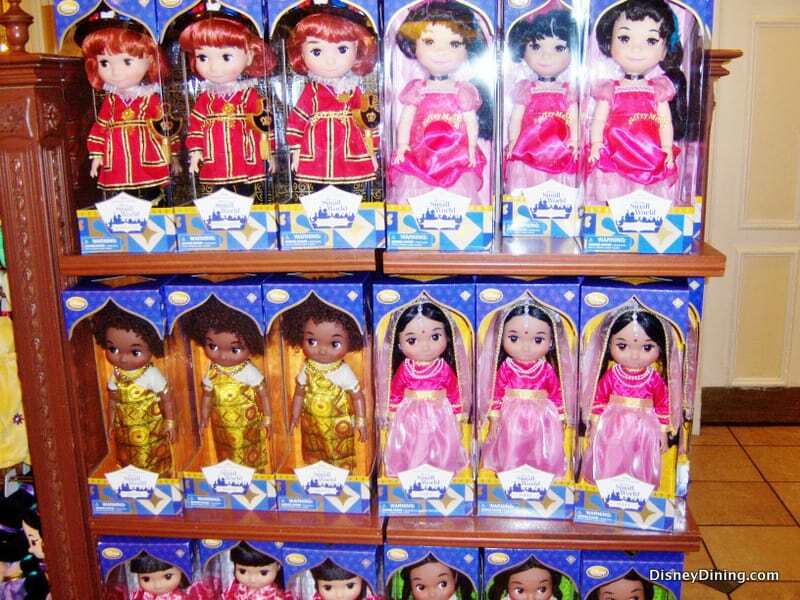 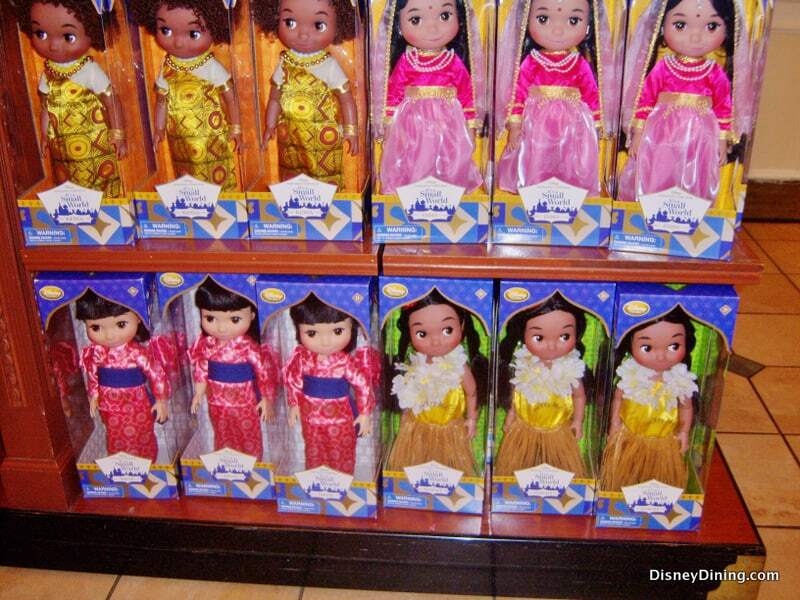 There are additional dolls in the Dolls of Small World collection at the Emporium on Main Street. 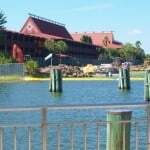 Epcot-This week Tokyo Dining will be closed for lunch November 2-30. 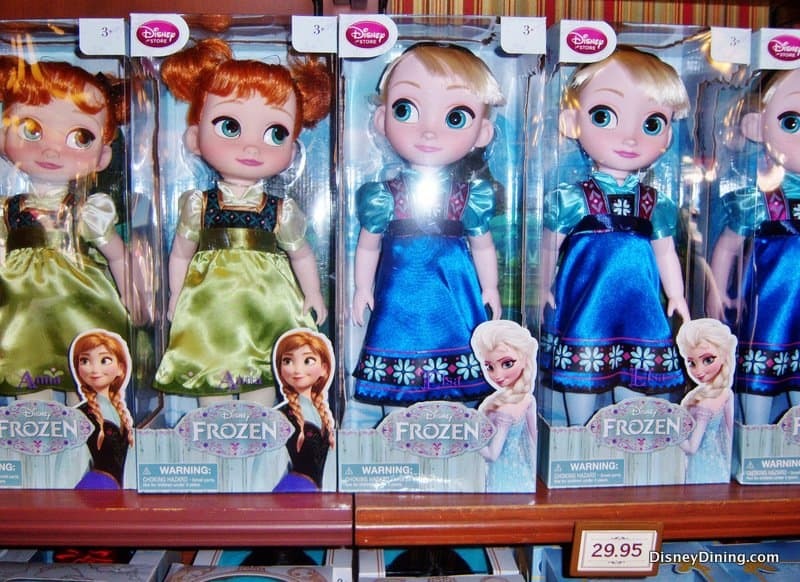 FROZEN characters Anna and Elsa are to open their Meet & Greet area in Norway this weekend. 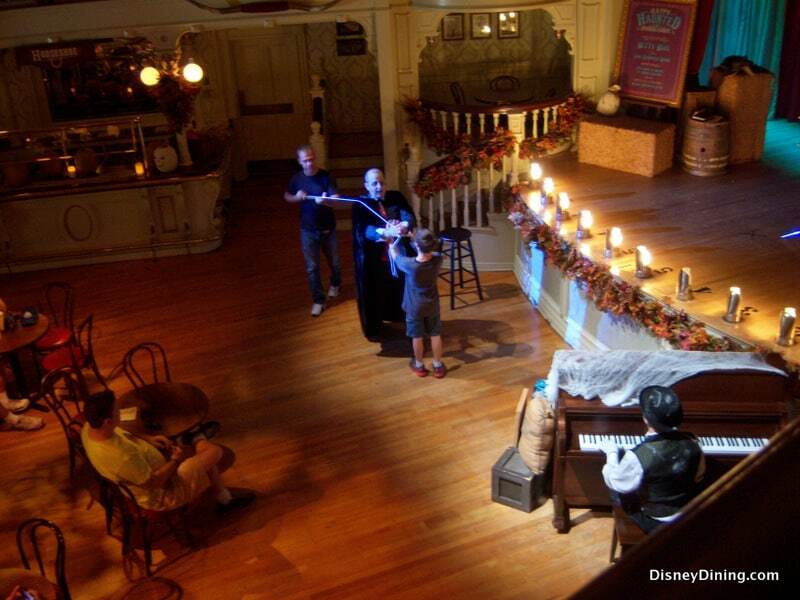 They did a soft testing of the Meet & Greet with them at Hollywood Studios on Monday. 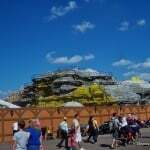 Disney will often do test runs of these events in a location other than where they are expected to stay, and always unannounced and no times given. 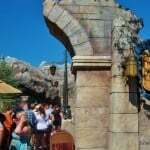 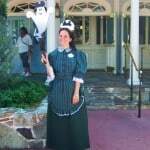 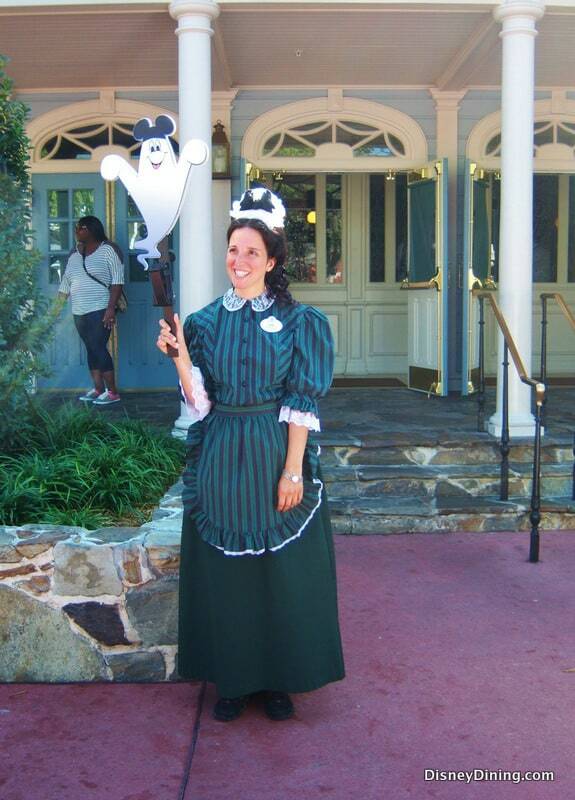 Animal Kingdom: October 31 is “Bat Day” at the park. 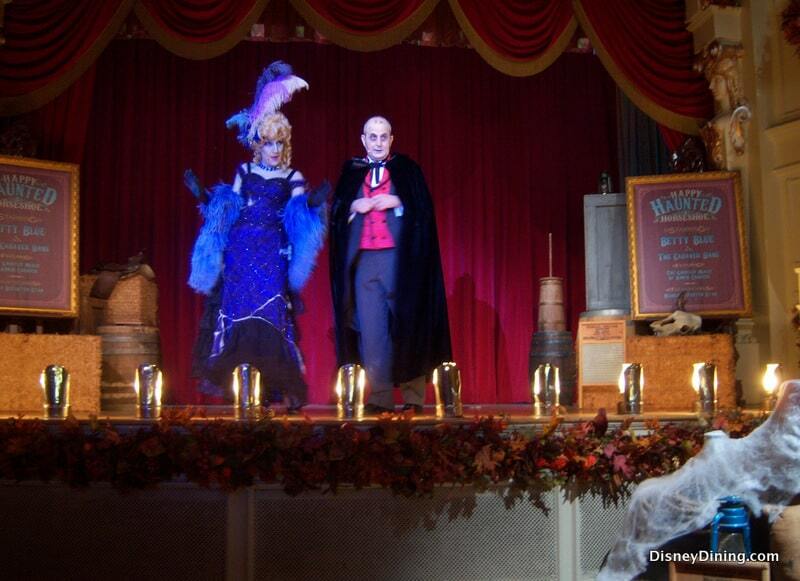 There will be special events to introduce guests to all things “Bat”. 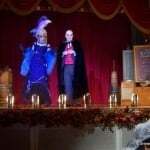 Disney Quest: Halloween Party, you need a separate Party ticket for this, but do not need a DisneyQuest ticket in addition to the Party ticket. 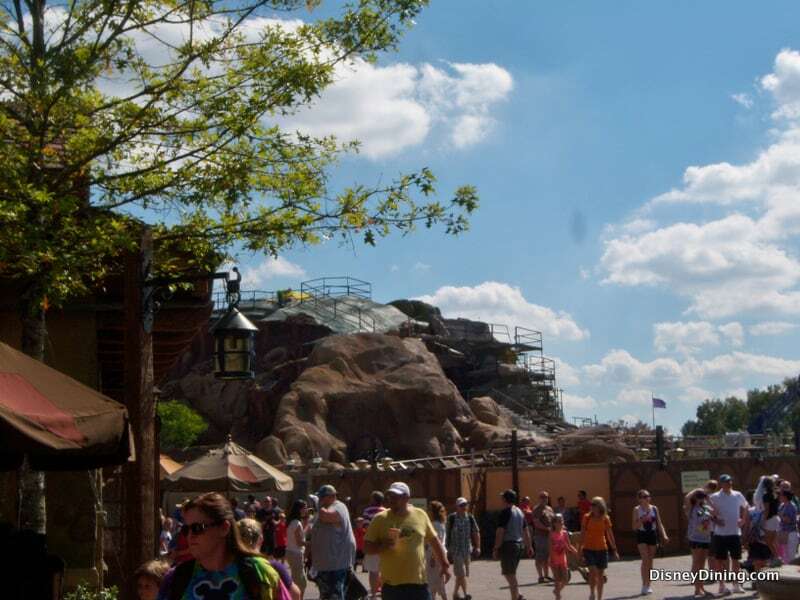 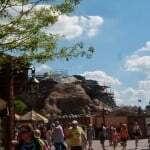 Big Thunder Mountain, Frontierland, Magic Kingdom will be closed for one day, November 5. 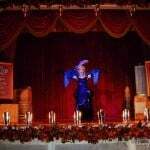 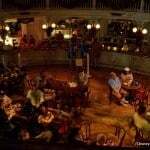 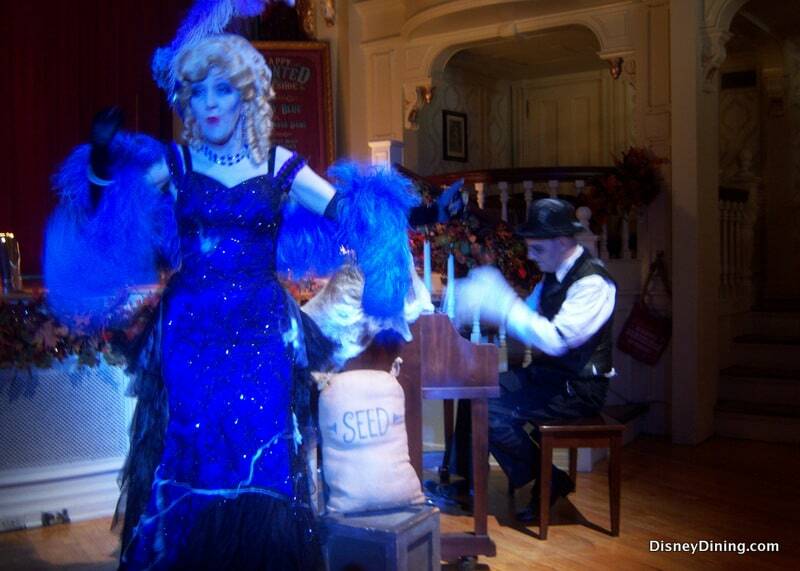 La Nouba, Downtown Disney, will have no shows November 5, 6. 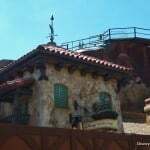 October Orlando Theme Park News reports on October 7, 2013, that in Epcot, Japan, Miyuki, the Japanese candy artist is rumored to be leaving soon. 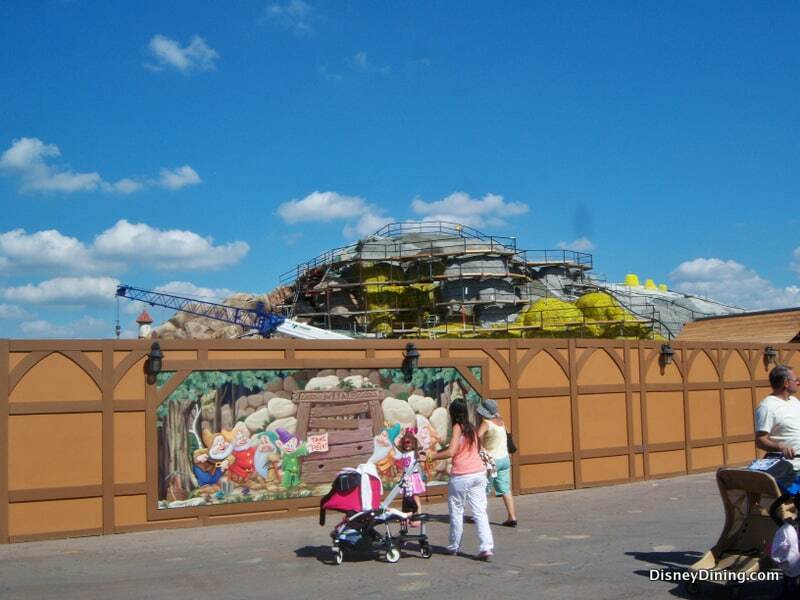 The Fall decorations will be coming down next week in preparation for putting up the Holidays decoration by November 8 in the Magic Kingdom when the first Mickey’s Merry Christmas Party will take place. 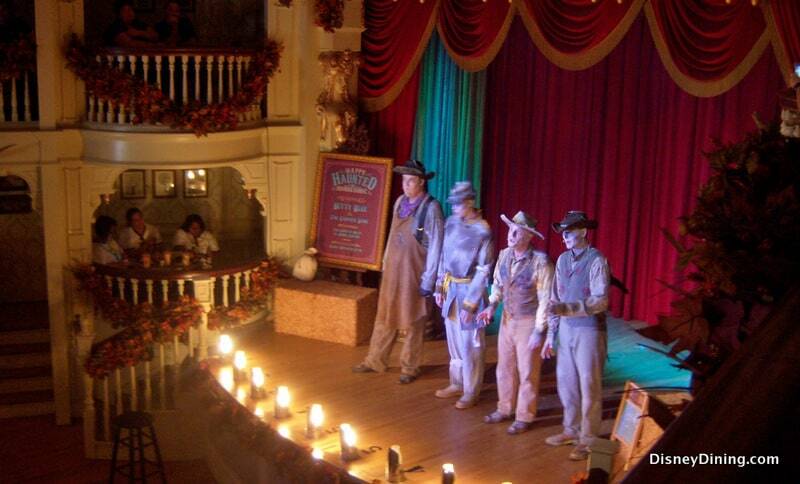 This Party requires a separate admission ticket.